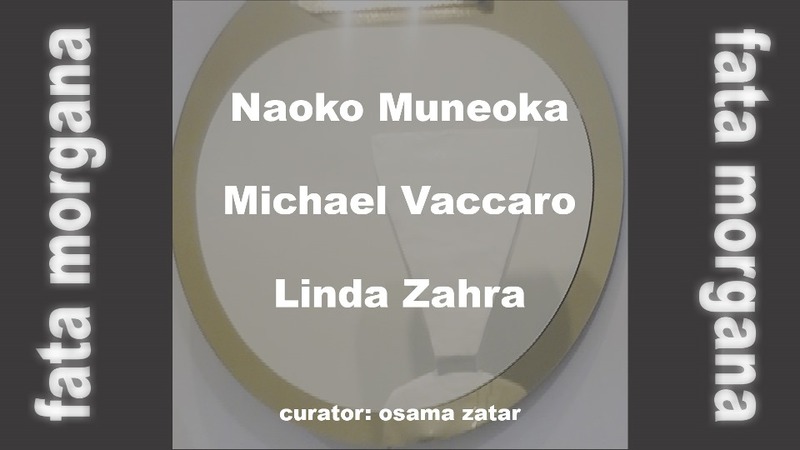 With the title "fata morgana" the artists Nakoa Muneoka, Michael Vaccaro and Linda Zahra will present some of their current work in the Salon of Cultures. We invite you all to join our vernissage on December 6th at 6:00 p.m. in EDUCULT’s gallery rooms at the Museumsquartier Vienna! With the title “fata morgana” the artists Nakoa Muneoka, Michael Vaccaro and Linda Zahra will present some of their current work in the Salon of Cultures. We invite you all to join our vernissage on December 6th at 6:00 p.m. in EDUCULT’s gallery rooms at the Museumsquartier Vienna! FATA MORGANA deals with the disillusion of paradise – arriving in a plasce full of images, dreams and mirages, in search of hapiness – into the clash with reality, where dreams are shattered and hopes replaced with struggles. Three artist approaching the concept of immigration as “Fata Morgana”, an illusion that can never really be realized or fully grasped, leaving us in constant search. Naoko Muneko, born 1966 in Hiroshima, Japan. Studies of painting at the Musashino Arts University in Tokio. From October 1994 to March 2001 she studied in Vienna at the university for applied arts, in the masterclass of Professor Wolfgang Hutter and Professor Wolfgang Herzig. Exhibitons in Japan and Austria. The interest of Naoko Muneoka is focussed on the pichture of human beings. It is the foundation to make common statements beyond individual ones, to make messages about feelings, experiences and interpersonal relationships. Michael Vaccaro, born1987. He studied from 1999 to 2004 abstract painting with Stefan Engel in Rheinlandpfalz, Germany. From 2011 to 2014 he studied arts and sculpting with bei Monca Bonvicini at the academy of visual arts in Vienna. Linda Zahra is photographer, bornin Salamya, Syria. She lives in Vienna since 2014. She studied Makeup Design at the academy of arts in Moldova and collaborated as Makeup designer, photographer and operation managerin in differnt film projects.